Long before there was Xanax, Prozac and a host of other “mother’s little helpers,” there was something even more effective for short term stress relief: the telephone. Fast stress relief came not from calling the soothing voice of a good friend, an emergency hot line or even your mother. It came from slamming the phone down after an angry or upsetting call. Today, the Twentieth Century Express is moving through a small town, past an abandoned one-story brick building now inhabited only by ghosts and memories. One can still imagine people inside standing in line to pay their monthly phone bill or order a repair service call. Sound odd? 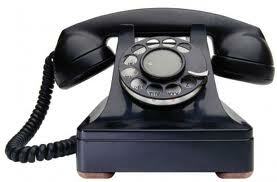 Well, if your one and only phone didn’t work you had to visit the office to order service. As for paying bills in person, who wouldn’t want to save the outrageously high cost of a four-cent stamp? On the outside of the building is a badly faded sign with the image of a bell and the label “Bell System.” In a circle around the bell are the words “American Telephone & Telegraph Co. And Associated Companies.” When the building was still in use, and when telephones were still hard-wired to the wall, the company that owned that building was referred to simply as “Ma Bell.” Bell was a regulated, legal monopoly until around 1982. Up to that point, phones were reliable and the service worked, so Washington decided it was time to end all that and break up Bell into smaller units that could provide shoddy phones, unreliable service and the ever popular inconsistent billing. That in turn brought a surge in new telecom technology, so that today we have really cool computer-based smart phones that do everything…except make clear phone calls. But then, who cares about voice calls when you can text a conversation 140 characters at a time? Back to slamming down phone receivers…physiologically, such an act releases neurotransmitter chemicals that trigger a small burst of energy along with a short-lived feeling of satisfaction. You might say it’s somewhat of a phonegasm. But more importantly, it was a way to get the last word in, to show you didn’t care, or just to (safely) say “up yours” to the other party. Note: the more modern f-bomb was not as extensively used back then, at least not inside the house. For younger generations who have never experienced any of this, it bears noting that slamming a phone down is eminently more satisfying than angrily pressing the “End Call” button on a modern smart phone. Phones in the mid-twentieth century were solid. They were made for a long life cycle, longer in fact than the technology that made them work. 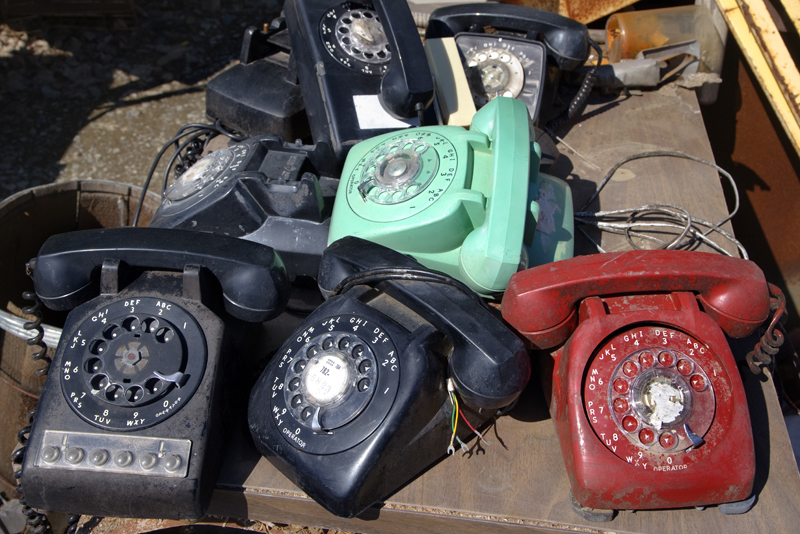 The bodies and handsets were of heavy molded plastic that covered a steel base with lots of wires and parts attached. It was nearly impossible to crack one open and servicing required a trained technician to visit your house with a pouch full of awesome-looking tools. He was also trained not to ask too many questions about how the phone got broken or why the cord detached from the wall. The phones of that era were also pretty handy for self-defense. You could clobber someone with the handset, and having the entire phone tossed at you was likely to cause some serious bodily harm. Of course if it was a break-in situation, you might disable the intruder, but cut off your access to the outside world by throwing the phone across the room. I know all this is true because I’ve watched a lot of old movies where a tough guy could knock someone out with a phone handset, or a blonde damsel would shun advances from an amorous suitor by clunking him with the entire phone. Ouch. In the early 1960s that all changed as Ma Bell introduced the first phone we regarded as being for females, because it was in fact marketed that way. Certainly my father would never have ordered such a feminine-looking thing, nor care about matching phone colors to the room decor. To him, phones came in one color, black, and to his credit he kept quiet when my mom ordered the first model of a pink Princess Phone. Dad was familiar with old movies too. 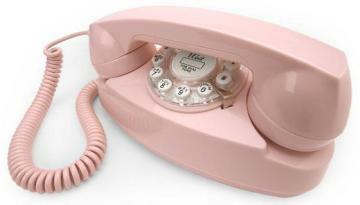 Today, the Princess Phone is considered a classic though many forget that the first ones had the same clumsy rotary dials on them as the monsters they replaced. In that regard they were still slow to make a call, and since they were light-weight the body jumped around when you tried to dial. That improved a few years later when push buttons arrived. 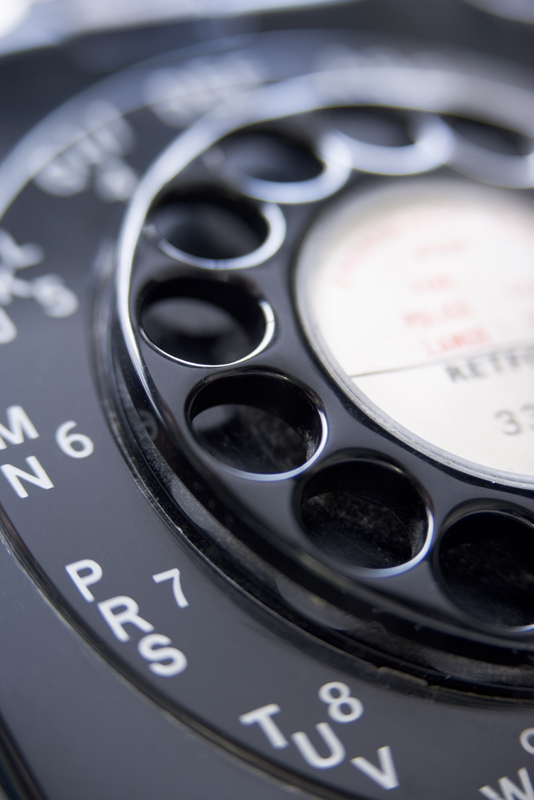 Pressing buttons to make a phone call seemed pretty odd at the time, but it caught on quickly and even the family wall phone in the kitchen was transformed into a push-button marvel. While not as heavy as the earlier phones, the Princess held up pretty well to slamming the receiver down too. My mom would prefer I not discuss any of that. The Twentieth Century Express picks up speed as we reach the edge of town and the Ma Bell building starts to fade from view. But the memory of those old phones persists, and I still feel good about slamming the phone down on Tommy Miller that time he refused to loan me his math homework in 7th grade. I wish I could get the same rush from hanging up after arguing with Comcast about their service outages and inconsistent billing. PS – yes, there was a gratuitous reference to an old Rolling Stones song in the first line. Can you name it? This entry was posted on October 15, 2015, 5:18 pm and is filed under New Stuff, The Backstory. You can follow any responses to this entry through RSS 2.0. You can leave a response, or trackback from your own site.